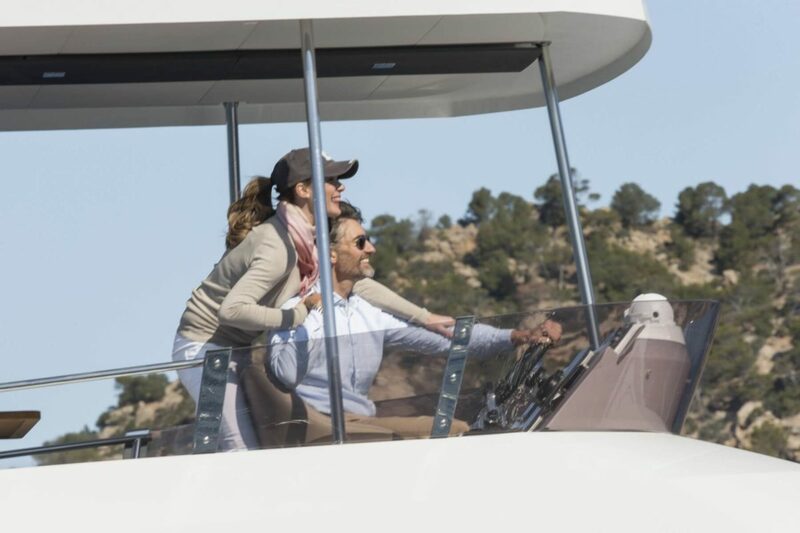 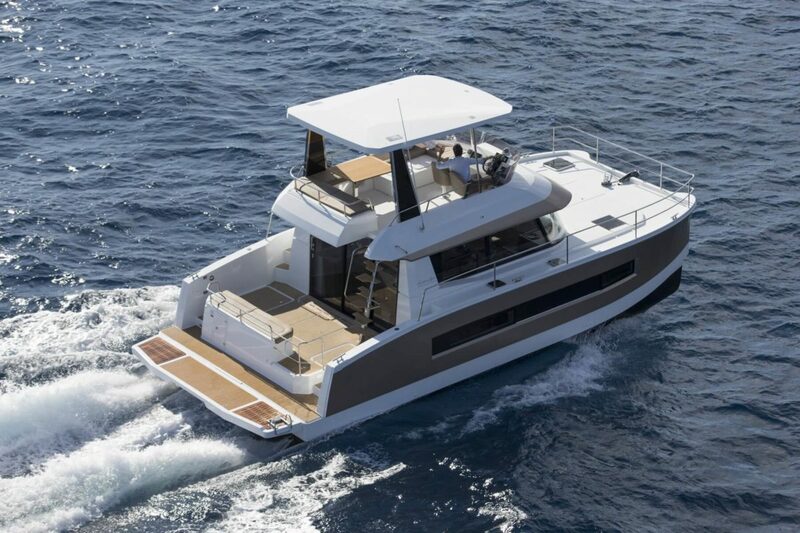 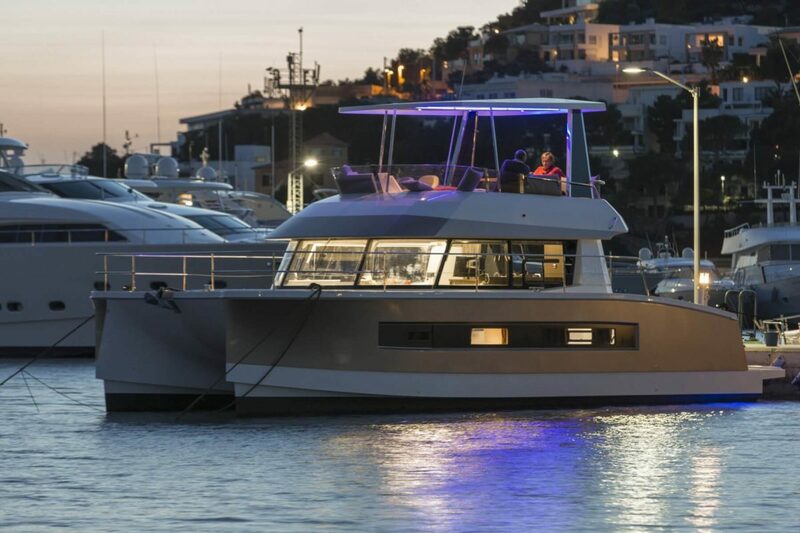 Drawing on the success of its three other motor yachts, the Summerland MY 40 LC, the Cumberland MY 47 LC and the Queensland MY 55, the French shipyard is launching a new entry-level model: the Fountaine Pajot MY 37. 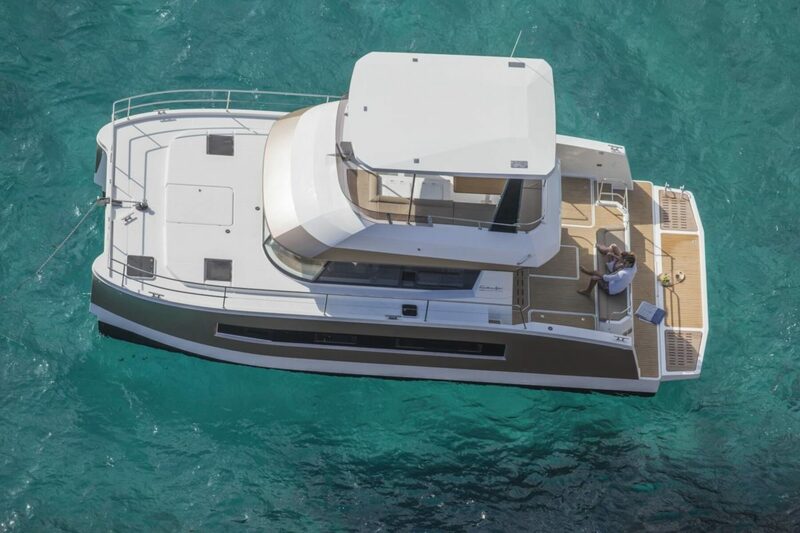 MY37 Review in PMY August 2016. 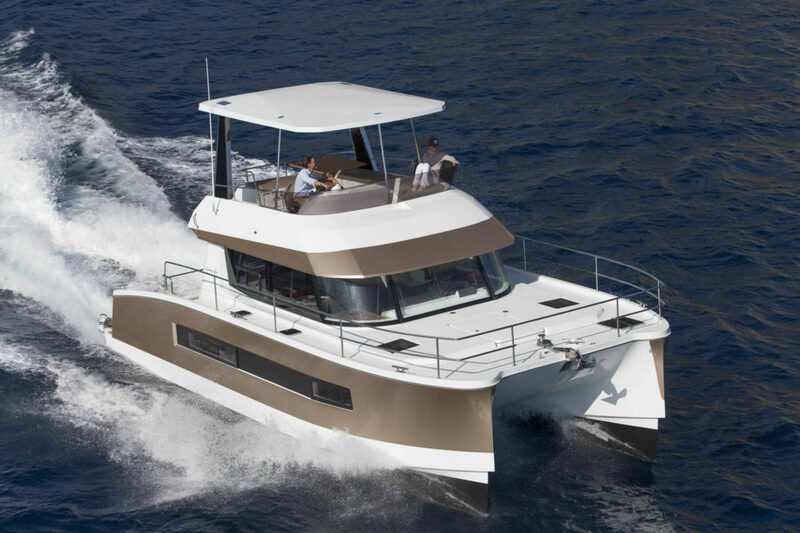 Fountaine Pajot MotorYachts proposes a complete range of motor yachts, twice the space, twice the comfort, twice the efficiency. 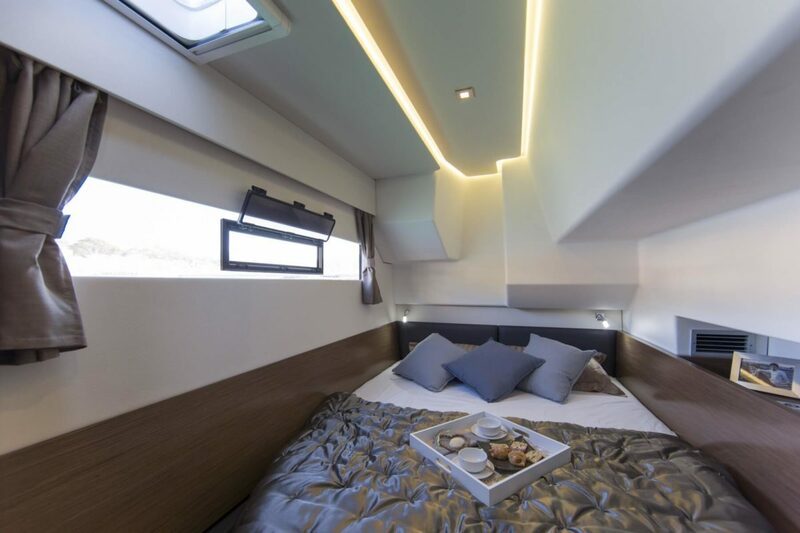 An incredible yacht with a contemporary design, the Fountaine Pajot MY 37 will offer you more than a monohull: thanks to a hull shape specially designed for perfect seaworthiness and exceptional stability, you are assured unequaled comfort and safety. 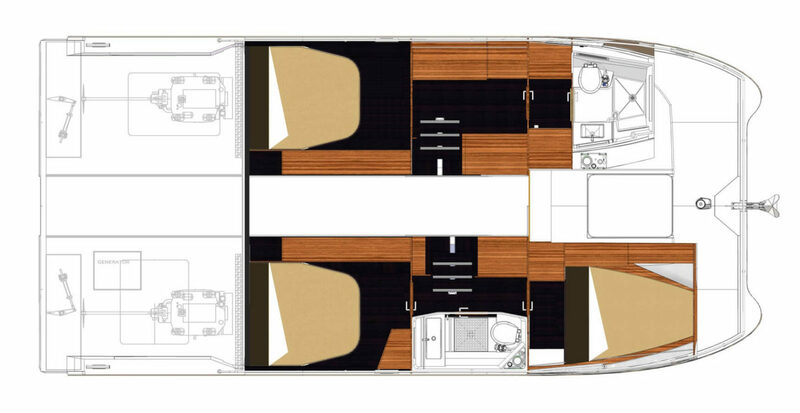 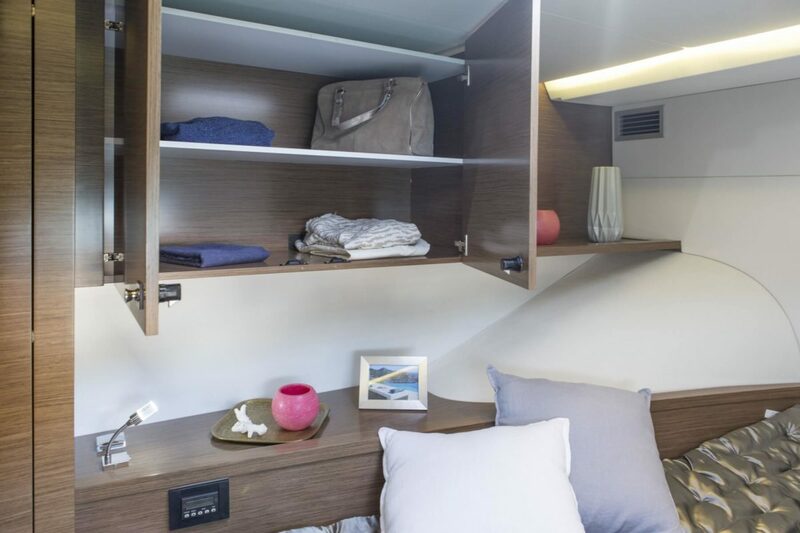 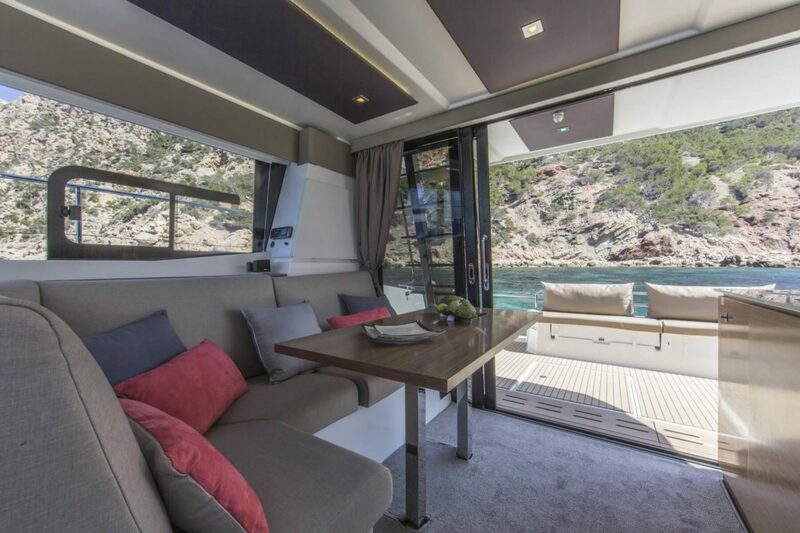 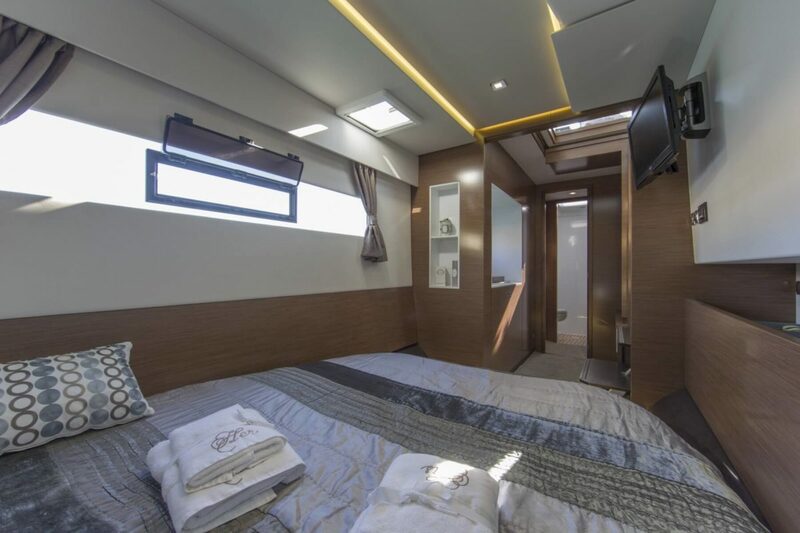 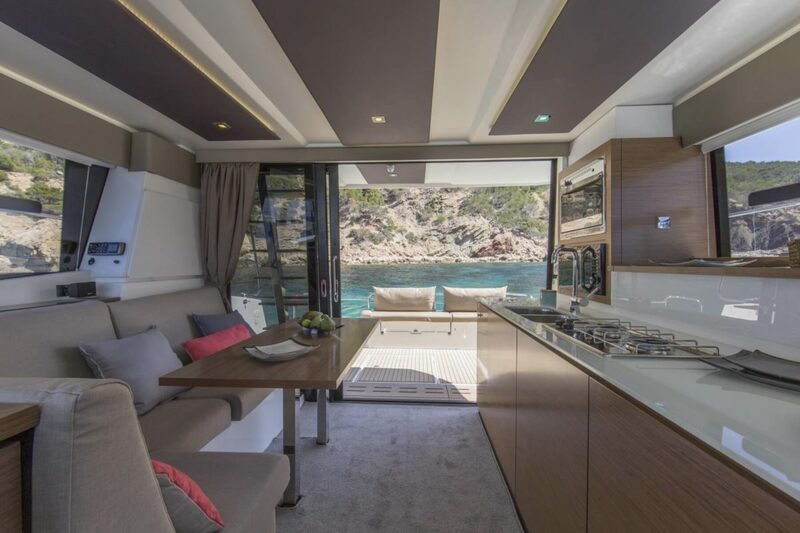 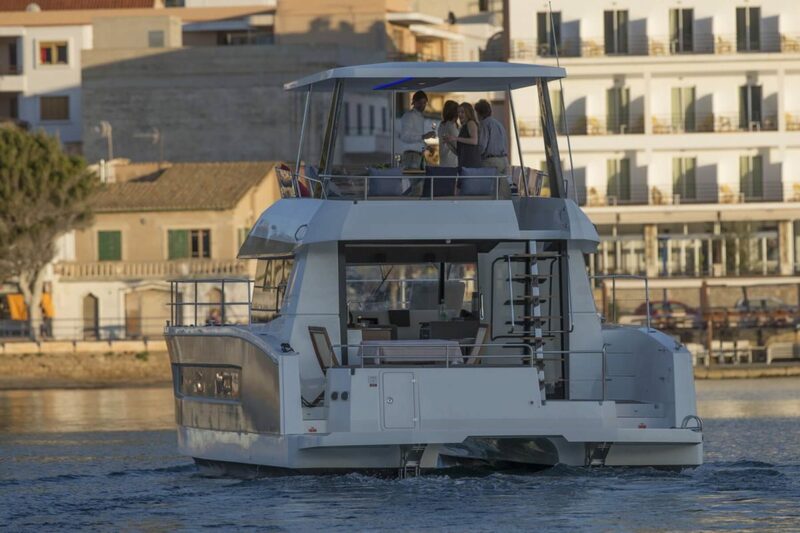 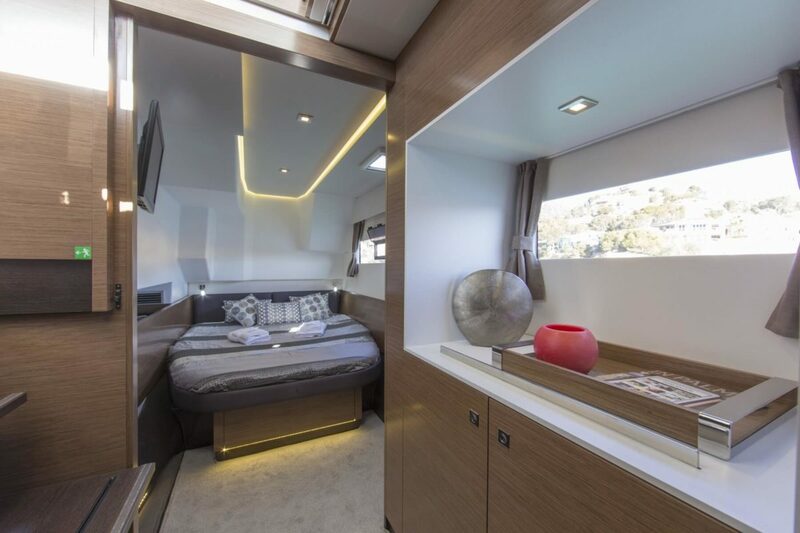 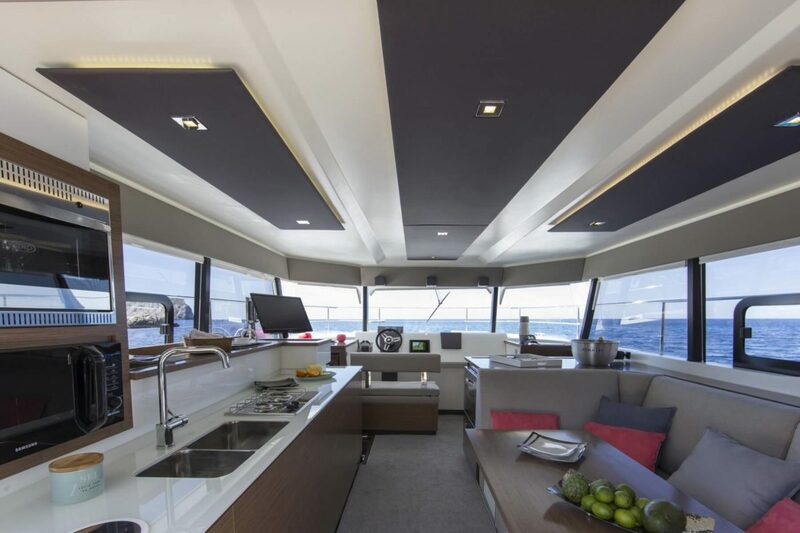 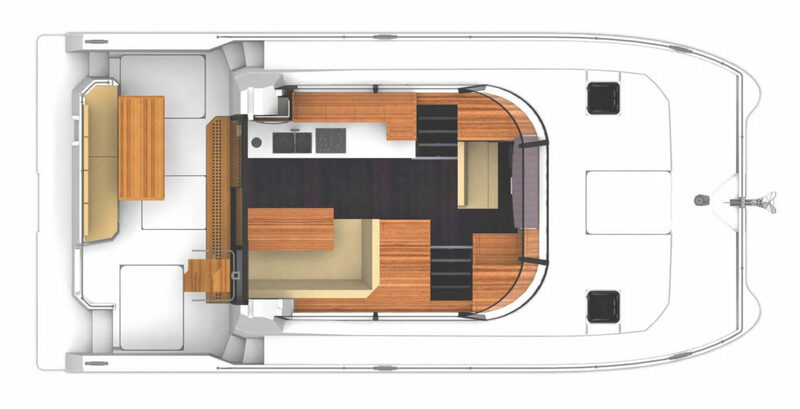 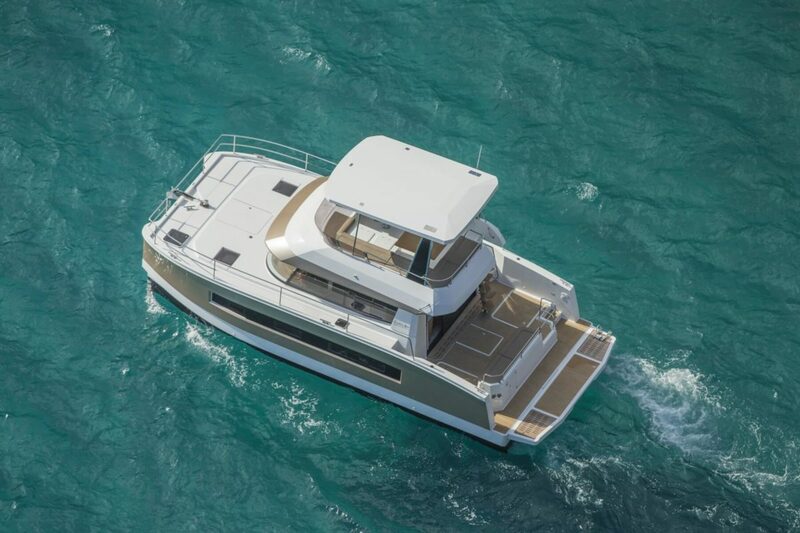 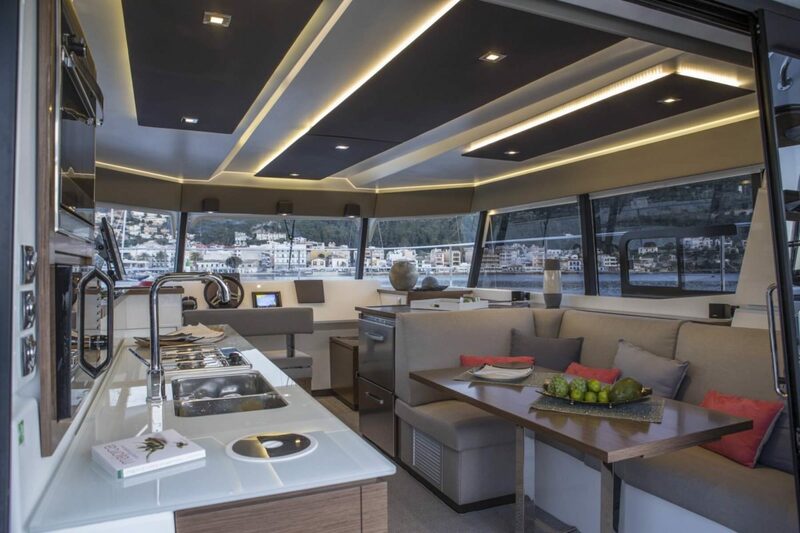 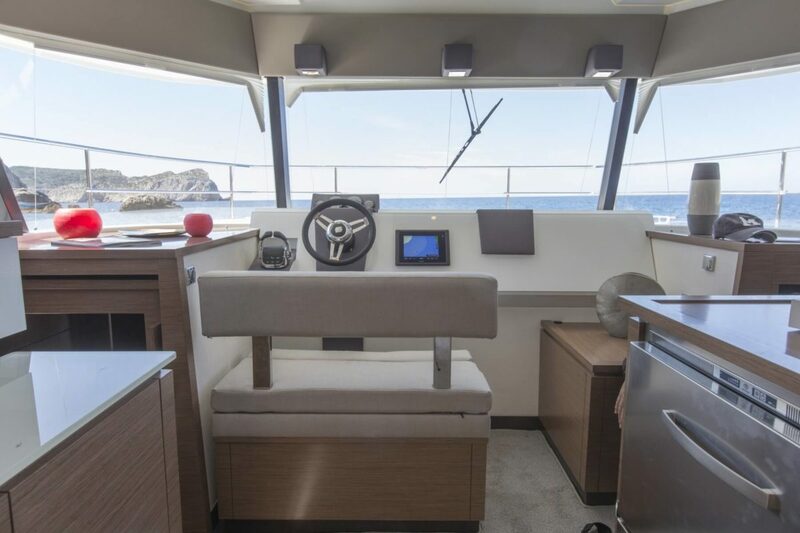 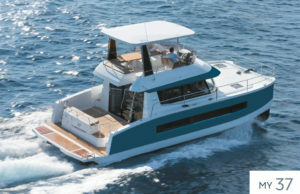 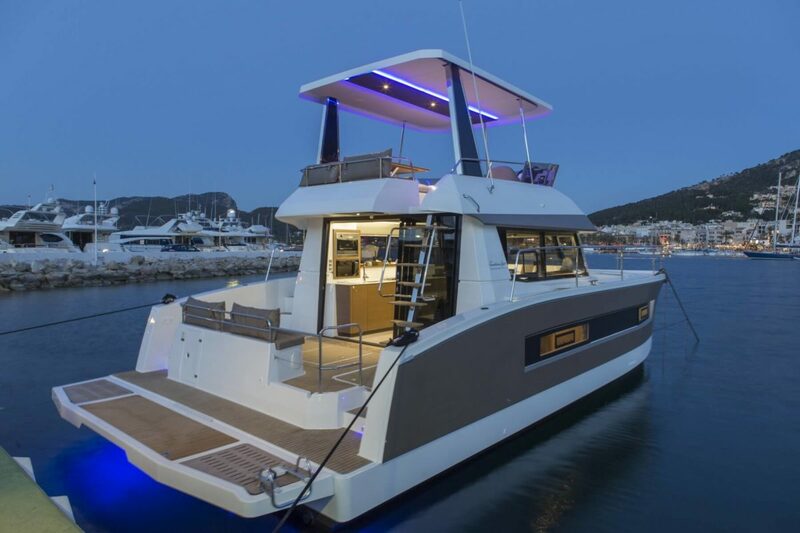 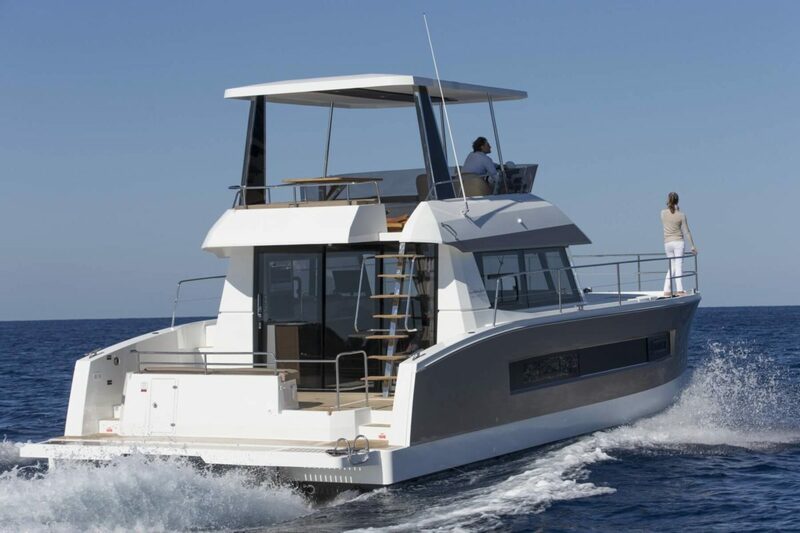 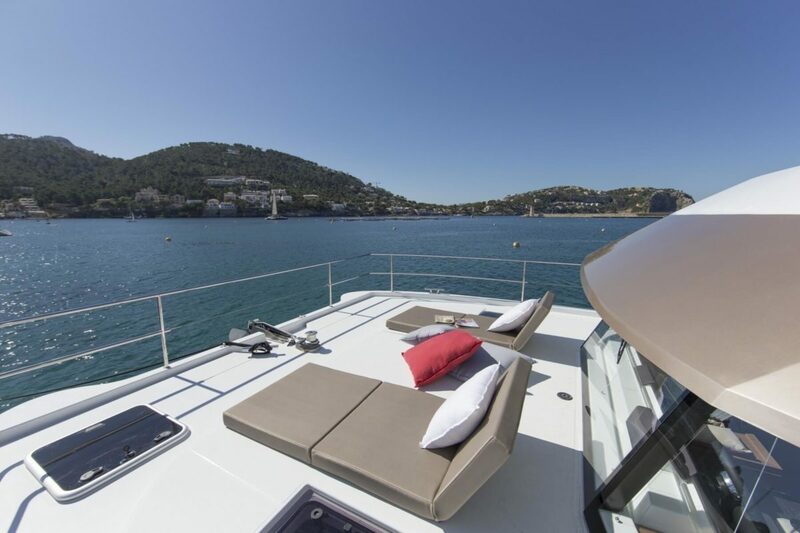 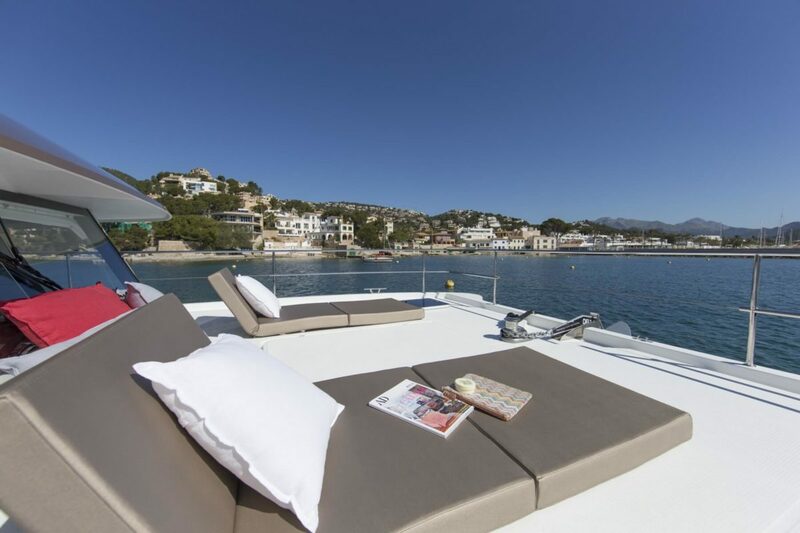 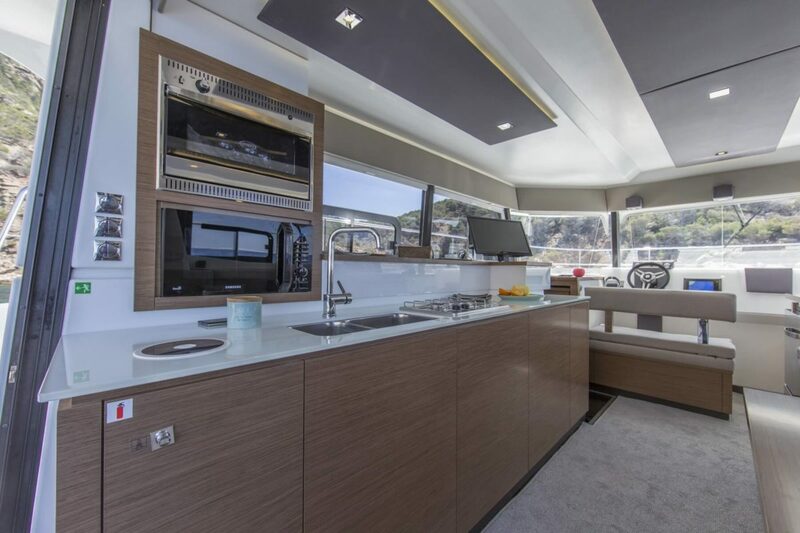 With its spacious flybridge and sundeck, a cockpit leading directly onto the saloon, the Fountaine Pajot MY 37 brings you all the many pleasures of the sea, both in navigation and at mooring. 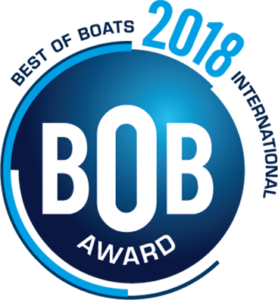 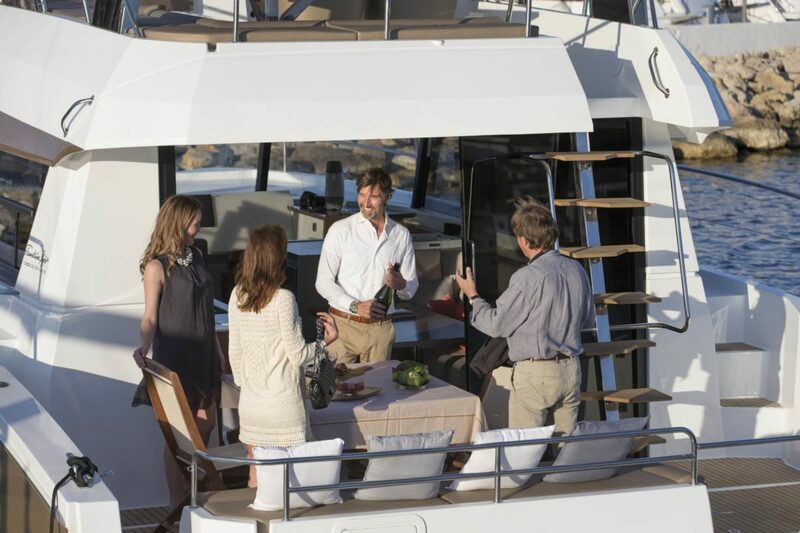 Learn how to offset 80% of the costs of a new yacht with tax advantages and income here.